Things are getting nutty. 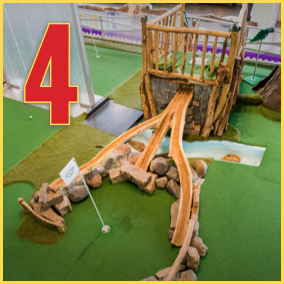 Putt your faith in nature as you climb the tree fort and send your ball down one of three tree slides. Only one branch will bring you perfectly to the cup. But as always, nature has a way of messing up your plans.